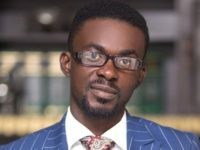 The Truth Forum of the New Patriotic Party has dissociated the government from the ongoing Menzgold saga. At a Press conference reacting to the views of the opposition NDC on the matter, the Truth Forum, led by Yaw Buaben Asamoa, Communications Director of the NPP Party said the leadership of the NDC peddled a heap of lies about the Menzgold situation. 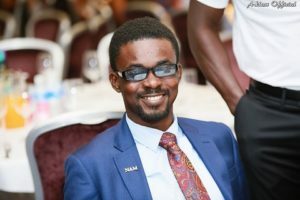 They insist that the fact that the founder of Menzgold; Nana Appiah Mensah took photos with the President does not automatically make the President an accessory to his fraudulent dealings. “Is the NDC telling us that, the picture of then President Mahama and globally acclaimed gay rights activist, Andrew Solomon, in bed, meant that John Mahama is gay and that John Mahama endorses homosexuality?” they queried. Yaw Buaben Asamoa questioned why the NDC refused to exercise government power in earlier instances of fraud brought against NAM1 in 2013 when they were in power and stated that Ponzi schemes fester whenever the NDC is in power citing R5, Pyram, DKM, Bamask as well as US Tilapia. They went on to chronicle the journey of Menzgold and how the Bank of Ghana, Minerals Commission, Securities and Exchange Commission have investigated and sought to intervene and challenged the NDC to stop peddling falsehoods. “…the Menzgold saga is an NDC problem we have come to clear. We have cleared a lot of NDC mess since we came. We have cleared DKM, we have cleared mess at the Banking sector, we have cleared arrears, and we keep clearing a lot of mess they created. Menzgold is an NDC problem. We will deal with it and allow the law to work. No amount of propaganda will deter this NPP government” they stated.